The Human Core Exome Kit provides comprehensive library preparation and target enrichment kit while also offering available Custom Panels that can be tailored to individual customer requests. Kit specifications include 33 Mb of highly conserved protein-coding regions based on CCDS, and 120 bp dsDNA probes, 90% of probe sequence within target region to minimize sequencing, and 97% of targeted regions covered at ≥20x, 150x mean sequencing depth (4.90Gb). Kit performance is aided by high-fidelity double-stranded DNA probes with probe boosting and efficient amplification, NGS QC of all probes, and uniform enrichment of target regions with no unexpected dropouts and specificity even at high sequencing depths. 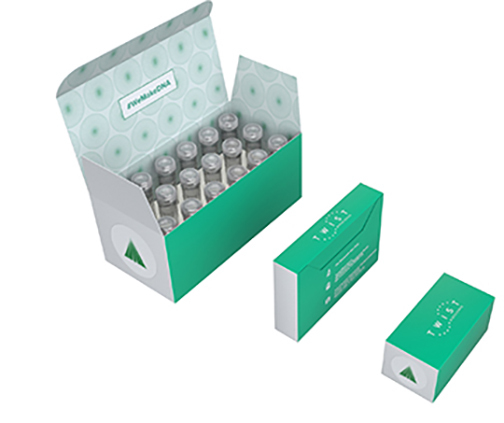 Due to the kit’s high enrichment uniformity, researchers can increase the depth of sequencing, or throughput to reduce sequencing costs, while the modular kit structure allows for easy integration into existing protocols.